Get your daily dose of high quality and premium products at Giant with our Top Picks. Exclusive to Giant, Top Picks are standout products from private label brands that are perfect for consumers who want to enjoy premium product experience. We’re so confident these products will satisfy you that we’re willing to give your money back if they won’t! Bonus: If you’re a UOB Delight Cardmember, you get to enjoy 10% off products from these brands. Why Are We So Confident About Top Picks? Our Top Picks go through stringent and robust quality assurance process, so they can surpass your expectations and satisfy you! 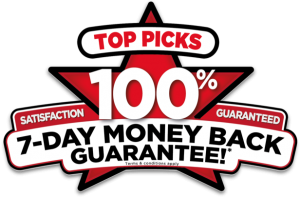 100% Satisfaction Guaranteed…Or You Get Your Money Back! If these products aren’t satisfactory enough for you, don’t worry! You have our word: We’ll give all your money back! No strings attached! Produce original receipt any Giant stores. Return 3/4 of the unused product. Bring the product along with the original packaging. Get your money back within 7 days! The Kea (Kee-ah) is the world's only alpine parrot and is found in the mountainous regions of the South Island of New Zealand. It is known for it's intelligence and curiosity, both vital skills to survive in the harsh alpine environment.This wine celebrates the sociable and good-natured humour of the Kea, a symbol of intelligence and wit. Village Bakery is freshly baked daily and delivered to stores within hours of leaving the oven. Using only the finest ingredients for a texture that is wonderfully soft and fluffy, which means our bread is perfect for sandwiches or even straight from the toaster. At Jolly Tots, we help parents and babies learn and grow together. Our products have been specially designed to guide you through the amazing ups and downs as a new parent. From diapers, wet wipes to accessories, Jolly Tots is with you to make sure you have a healthy and happy baby every step of the way. Known for its quality and remarkable freshness, Fontauroi encompasses the essence of nature that surrounds the picturesque village of Signes in France. For centuries, Fontauroi mountain spring water has been naturally low in mineral content and as pure as nature intended. NanoPower range of softener, laundry liquid and bleach are developed with advanced Nano Technology, its Dual Action formula with penetrates deeply into fibres and delivers greater cleaning power. Giving you the bright, fresh wash every family deserves, and the softer , gentler feel that everybody loves. Gain complete control of your wellness with ACTIPRO+ and leave no germ alive with our new range of Anti-Bacterial Hand Wash & Body Wash products. AquaBliss range of body and hand wash products are powered by Tri-Aqua Lock, a specially-formulated active moisturising complex combining 3 different aqua-active ingredients. Safeguard the hygiene of your family with BacAttack. Attack and eliminate harmful germs with minimum effort and maximum effect. At Baker Brothers, we believe the goodness of ingredients matters. In baking, the whole is always greater than the sum of its parts; even the simplest ingredients can make the most exceptional recipes. We’re all tea lovers at BREWTIME and we take our love for tea very seriously. We know it’s all about sipping and savouring that special moment – just you and your perfect cup of tea. Freshly caught and delivered straight to your table – CAPTAIN’S CATCH is a delectable selection of seafood that’s perfect for either a quick and healthy snack, or a fancy family meal. Give your smile the care it needs with Dentismile! Because bright Smiles are worth protecting. FeatherSoft tissues are your ideal dining or general use companions, offering the perfect balance of softness and strength. French Cellars is the perfect way to savour exquisite wines from France, without the accompanying high price tags. With Market Garden, savour the best of the season's natural bounty plucked at the peak of its ripe natural goodness. Papa Alfredo brings the good life to your home. Delivering the best Italy has to offer, these products will help you create authentic Italian meals with incredible ease. By combining more than 150 years of winemaking experience and utilising modern methods, Red Peak blends both innovative and experienced winemaking techniques. An impressive collection of our festive delights for the best times of the year - your year. Simply Delight presents the perfect collection of sumptuous chocolates. Snacking should be exciting and fun! At SnapMax, we're always working to bring you new products - whether it's great new flavours or a whole new snack experience. Wholesome and natural: Southdale Farm is home to delicious dairy products that are lovingly crafted, using only the freshest ingredients straight from nature. Whether you are starting the day right with a nutritious breakfast or indulging in a healthy afternoon snack, Sun Harvest's wide range of wholesome products has something for everyone and every occasion. Sunny Meadow believes in nurturing family health with good, simple food that’s direct from nature – offering healthy choices of sunflower, canola and olive oils, along with other related products. We’re all coffee lovers at THE GOOD BEAN CO. and we take our love for coffee very seriously. Veneto artesian water is named after the region it is sourced from. Bound by nothing but endless pre-Alp ranges and the Venetian lagoon, atmospheric conditions of the Italian Veneto region possess the perfect qualities for harnessing artesian water. VitaPet's pet nutritionists and taste experts are dedicated to creating delicious, nutritious meals that your canine and feline companions will absolutely love – using only the very best ingredients to encourage good health and energy levels. Winemaker’s Reserve is a range of wines from France specially selected to deliver outstanding value for everyday drinking. Satisfy your cravings for a quick meal, with a steaming hot bowl of wholesome noodles that can be ready in just minutes.